"I Dream" Limited Edition Giclee on Canvas by Stephen Fishwick, Numbered and Signed with Certificate of Authenticity. Gallery Wrapped. With bright colors and expressive lines, Stephen Fishwick puts a unique spin on pop culture portraits. 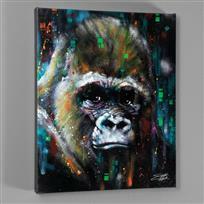 "I Dream" is a limited edition giclee on stretched canvas, numbered and bears the artist's authorized signature. This piece comes gallery wrapped! Includes Certificate of Authenticity! Measures approx. 16" x 20" (image). Fishwick is also famous for being a performance artist. He founded the show “Paint in Motion,” a live performance art piece, during which he creates live portraits of icons like Jimi Hendrix, Ray Charles and Bono set to music. “Paint in Motion” has been an international success with shows in Beirut, Kuwait, Germany, New York, and Las Vegas. 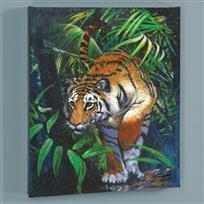 Fishwick also founded “Paint in Motion – Animals,” which aims to educate people about the plight of endangered species. "En La Casa" Limited Edition Giclee on Canvas by Stephen Fishwick, Numbered and Signed with Certificate of Authenticity. Gallery Wrapped. "It's All Relative" Limited Edition Giclee on Canvas by Stephen Fishwick, Numbered and Signed with Certificate of Authenticity. Gallery Wrapped. "Trees" Limited Edition Giclee on Canvas by Stephen Fishwick, Numbered and Signed with Certificate of Authenticity. Gallery Wrapped. 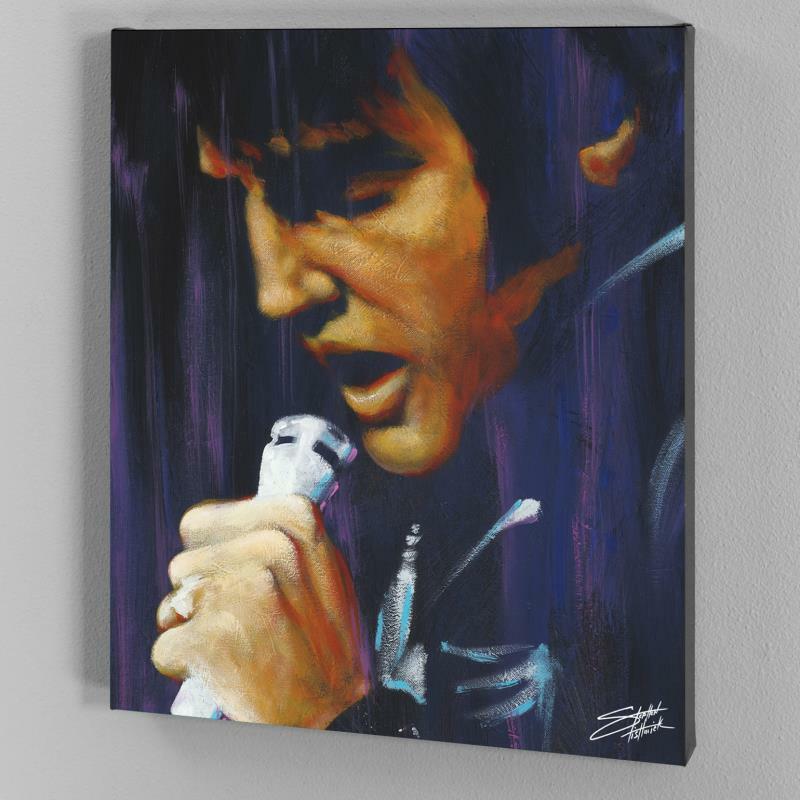 "A Young King" Limited Edition Giclee on Canvas by Stephen Fishwick, Numbered and Signed with Certificate of Authenticity. Gallery Wrapped. 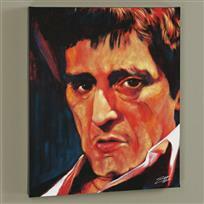 "Pacino" Limited Edition Giclee on Canvas by Stephen Fishwick, Numbered and Signed with Certificate of Authenticity. Gallery Wrapped. 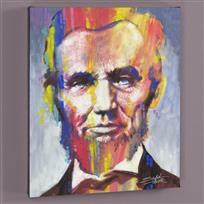 "Abe" Limited Edition Giclee on Canvas by Stephen Fishwick, Numbered and Signed with Certificate of Authenticity. Gallery Wrapped. 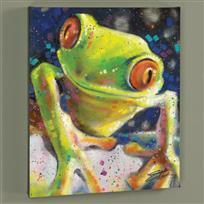 "Albert" Limited Edition Giclee on Canvas by Stephen Fishwick, Numbered and Signed with Certificate of Authenticity. Gallery Wrapped. 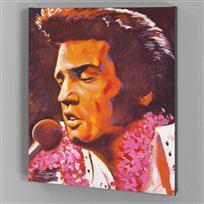 "Aloha" Limited Edition Giclee on Canvas by Stephen Fishwick, Numbered and Signed with Certificate of Authenticity. Gallery Wrapped. "Audrey Too" Limited Edition Giclee on Canvas by Stephen Fishwick, Numbered and Signed with Certificate of Authenticity. Gallery Wrapped. 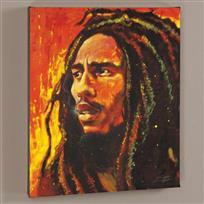 "Bob Marley" Limited Edition Giclee on Canvas by Stephen Fishwick, Numbered and Signed with Certificate of Authenticity. Gallery Wrapped.